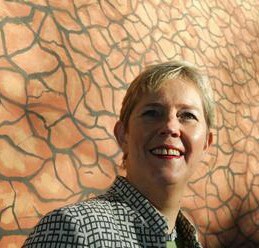 Dr Marianne Broadbent is a Managing Partner, South East Asia, NGS Global, based in Australia. She has been working in the leadership, management and strategy areas for over 20 years, with a particular emphasis working with organisations to shape and develop their strategic executive and team capabilities. She was previously Senior Partner in EWK International, a business that recently integrated with NGS Global. Dr Marianne Broadbent was previously Senior Vice President, New Product Development for Gartner Inc globally, where she split her time largely between offices in Stamford, CT (USA) and Melbourne, Australia. Prior to joining Gartner in this role in 2005, Dr. Broadbent was Associate Dean at Melbourne Business School, University of Melbourne and held the Chair in Management (Information Systems). She is the founder of Gartner’s CIO Academy and in 2003 she was awarded the prestigious title of ‘Gartner Fellow’.Prior to that she was Associate Professor at Melbourne Business School, a visiting researcher at Boston University, and held other academic, business leadership and consulting positions. Dr Broadbent is a sought after speaker at industry and corporate conferences around the world. Her work and views have been published in many genres, from academic journals to regular columns and trade papers. She is co-author of two topselling books published by Harvard Business School Press: The New CIO Leader: Setting the Agenda and Delivering Results (first author, HBS Press, 2005) and Leveraging the New Infrastructure: How Market Leaders Capitalize on Information Technology (co-authored with Peter Weill, HBS Press, 1998). She has also led her own consulting firm specializing in business and technology governance, and the integration and execution of corporate, business and functional strategies. Dr Broadbent is member of the Board of the Victorian College of the Arts and a Fellow of the Australian Institute of Company Directors.